Wedding season is currently on its full peak despite the cold weather in most of the areas in Pakistan. This season is suitable to wear chiffon dresses and for brides what materiel can be more friendly. Every year designers bring vast verity of designs and introduce new patterns and cuts to make your special day more memorable and unique. 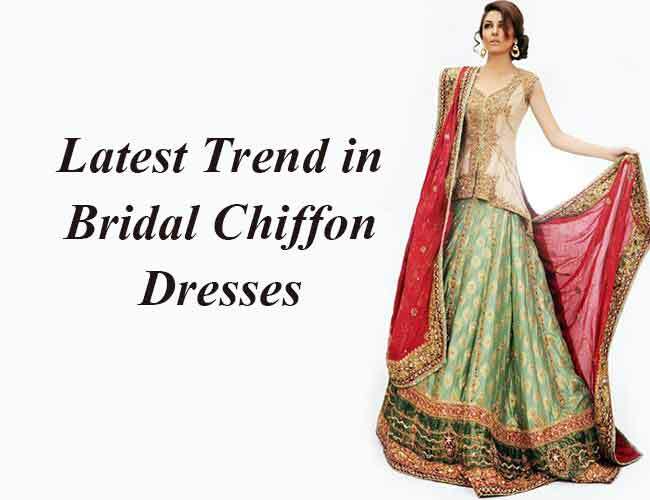 This year as well brings vast range of Pakistani dresses online which are full embroidered dresses with flowy gowns with different combination of colors not for first day of wedding but for further events following the big day. Once there was only a red bridal dress considered for Pakistani wedding dresses but now for few years fashion have moved to adjust the other colors in bridal first day dress. With multi shades and different embellishments dress can be unique and special. Still one can add touch of red in beige, blue, green or with other shades to keep the tradition and in latest trend the red duplicate looks really beautiful and add the touch of class. Yet if you want you, can go for dresses without any red and catch every one's eye. 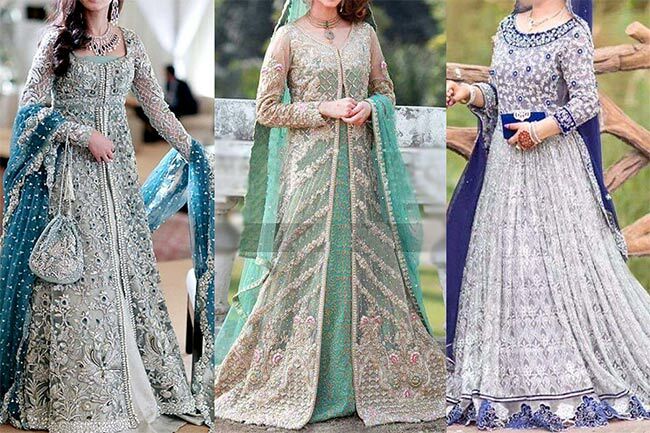 I loved that we have also moved to other options then decades old lehnga which is no doubt still looks amazing but if one wants something different they can wear long gowns as well. 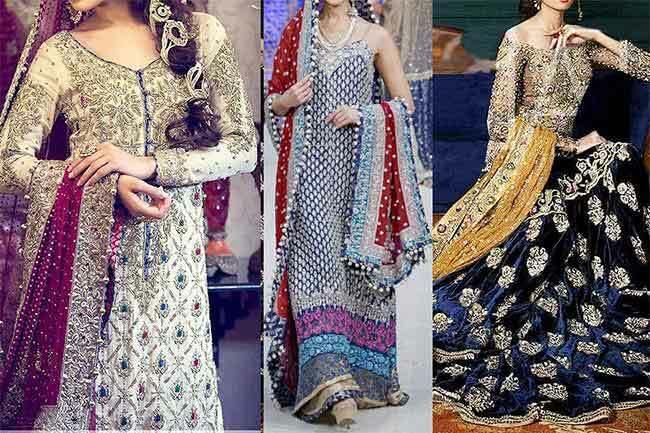 The dress for second day of wedding have always brought different shades to choose from. As the red have been traditional first day color, the second day choice would have always been light shades. As now with change in trend you can choose light shades for wedding day and select dark shades for second day as well. Apart from two main days bridal have many choices for other events of wedding which can be before and after. For mehndi or mayon you can add many shades in combination with yellow or can go for totally different shades containing green, pink, orange or other suitable shades for these events. After wearing flowy, long trailing dresses for 2 to 3 days, after wedding dresses should be less heavy which are suitable for new bride but yet are easily manageable.